A lot has been written about the shootings in Tuscon, and about President Obama’s wonderful speech at the University of Arizona. David Brooks followed the speech with a thoughtful column in The New York Times about civility and what has caused its erosion. He argued that civility is derived “from a sense of personal modesty . . . .” The basic idea is that civility follows from the knowledge that one does not have all the answers and therefore it is necessary to work with others to produce the best possible results. The problem is that our culture has contributed in various ways to a loss of humility, according to Brooks, which in turn has decreased civility in the political process. Whatever their location on the political spectrum, too many elected officials seem uninterested in learning from colleagues and others who might have a different point of view. This column made me think about old-style legislative study commissions where the members worked together over a long period of time to understand a problem and then frequently produced a set of consensus recommendations. There was no talk about humility or civility, but both were present. As we work with policy decision makers, it will be more important than ever for them to see the School as a resource for increasing their knowledge without criticizing them or their political philosophy. It starts with our own humility. We have never pretended to possess all of the answers, and we have worked collaboratively with public officials to help them accomplish their goals. Even in a time of reduced humility and civility, the School should continue to be viewed as a valuable resource by everyone involved in public life. If you want more of David Brooks, here is a YouTube video of him being interviewed by Chancellor Thorp about innovation and the role of higher education. 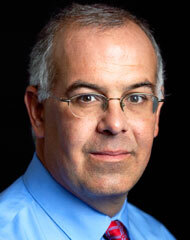 Brooks was here earlier this week to give a talk at the Business School. Another voice in the wilderness. I believe the unstated question is how does the School continue to ensure that it is viewed as a valuable resource? The author appears to believe that too many elected officials are uninterested in learning from those who have a different point of view. I would argue that too many elected officials appear uninterested in learning! There appears to be a belief that since they were “elected”, they have all the answers that the populace seeks and that all that they have to do is carry out what they promised in campaign speeches or agreed to do with those in their “bloc”. The School must continue to push the agenda that it was established to engage in practical scholarship that helps public officials and citizens understand and improve state and local government for all of North Carolina. Some elected officials may come on board after they realize that they are not an “Army of One” and that nothing happens in a vacuum or they may never join our “team”. It is pendulum swing – sometimes you are the swatter and sometimes you are the swatted! Just my .5 cents (we are in a depression)!